According to the U.S. Constitution, only the U.S. Senate can ratify treaties, which are formal agreements between governments; however, John ‘Frankenstein’ Kerry states that Congress cannot modify any Iran-U.S. nuclear agreement. Yes, the slime-ball that likely purple-hearted himself out of Vietnam is helping Obama double down on unconstitutional actions. What is not widely known is that John ‘Frankenstein’ Kerry’s daughter is married to an Iranian and I do not mean Valerie Jarrett who was born in Iran… No conflict of interest here. Time-date stamp and other evidence appears to tie the NSA to a nearly omnipotent group of hackers who operated undetected for at least 14 years. This is the group that likely sabotaged Iranian uranium enrichment efforts in 2009 or so. Wonder if executives at Sony know about this? We are told that we are in an economic recovery. Yes, the economic recovery is so strong that food stamp beneficiaries exceed 46 million for the 40 straight month. In other words, 19.6% of American households have been using food stamps for over 40 months. 43% of Americans do not trust their bank because of ease of confiscation, surveillance, and bank fees. Even credit unions are on the system. So, where to possibly store one’s wealth? One should have six months in emergency cash reserves. After that, gold and silver retain their value far better in the long run, and can be easily liquidated if an emergency arises and it becomes necessary to obtain soon-to-be worthless fiat currency. Despite having hundreds of millions of dollars, at its disposal, to hire a high-powered legal team, the ballooning federal case against Merck, one of the largest vaccine manufacturers, is damning to the company indeed. Fake statements and faked clinical trials in connection to their mumps vaccine, by Merck officials, makes the idea that vaccines are unsafe and ineffective more credible. Suspicious fires have twice kept Al Sharpton from complying with turning over financial records. Once in 1997 and again in December of 2014. Despite damning evidence; such as flammable liquids, the investigations were suddenly closed without an arrest. 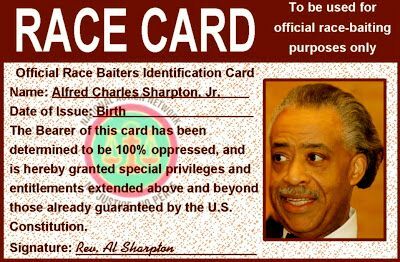 One should wonder if Al Sharpton will be making a special visit to Hillary’s house where her email server is located in the very near future. Especially if Hillary violated federal law by signing the usual State Department exit forms without turning over all relevant records to the State Department. Apparently, Iraqi “Popular Forces” shot down 2 U.S. helicopters that were caught supplying ISIS with arms. They are holding two Blackwater err… pilots as prisoners. If this is true, is anyone really surprised? Obama is “very interested” in the idea of raising taxes through unilateral executive action. He is doing this because Senator Bernie Sanders of Vermont, gave him the idea to simply side-step the Congress, and the U.S. Constitution, and just rule with the use of the pen and a phone. Total household debt rose $306 billion, or 2.7%, in the fourth quarter from a year earlier to the highest level since 2010. In addition, sub-prime lending as a percentage of total consumer lending is now close to where it was right before the financial collapse of 2007. This is setting up the next catastrophic systemic financial melt-down. It is truly dangerous when people do not know who is Karl Marx is. People responded positively to a question, asked by Mark Dice, if they would support Karl Marx, as Obama’s choice for President in 2016. Just how many people, if asked, would sadly follow Adolf Hitler and be happily led to the gas chamber or a guillotine? According to the final language in Obamawreck, while there are penalties’ outlined for not having health insurance, no means to force people to pay them are not stated… No leans or prison time to force payment are stated. So, apparently, the IRS can only legally say pay us only because we said so. Kind of slick when you think about it… Or is that sick? According to a 2004 study published in the journal Clinical Oncology, chemotherapy is really only effective about 2% of the time for all cancers. What’s more, research is showing that those who refused chemotherapy treatment lived for an average of 12 and a half years while those who accepted the treatment lived on an average of only 3 years. Evidence is growing that natural cancer treatments re your best bet.